Northwestern has the most supportive alumni base that you will find anywhere. We call them the Purple Mafia for short and you will find them in every city in any field. Recently, I’ve had some experiences that have shown me how amazing this resource can truly be. As a working actor, your headshot is one of the most important things to have because it’s the thing that casting directors and directors use to talk about you. The headshot has to capture who you are. For one of my classes, we were supposed to be handing in headshots in two weeks and I completely didn’t realize how much went into this process. I frantically e-mailed Maia Rosenfeld, an alum, to see if she could last minute fit me in. She immediately carved out some time that weekend, made me feel super comfortable during a process that can be really strange, and gave me a ton of advice. Her first response to me ended with, “Go Cats!” and in that moment, I realized how fortunate I was to be a fellow Wildcat. Another instance where I felt the sheer awesomeness of the Purple Mafia was this summer in my theatre management class. Laura Matalon from Allied Live, a major marketing company for many shows on Broadway and in Chicago, came in to speak to our class. She talked about her time at Northwestern and how she ended up with the job she has today. She then got us all free tickets to The Book of Mormon national tour. It was such a great show and if that wasn’t enough, she proceeded to offer us all internships at her company in the fall. My friend Charlotte took her up on the offer and had a really positive experience. Again, I felt that because we all shared this connection of being Wildcats, my peers and myself could gain a lot from this interaction. 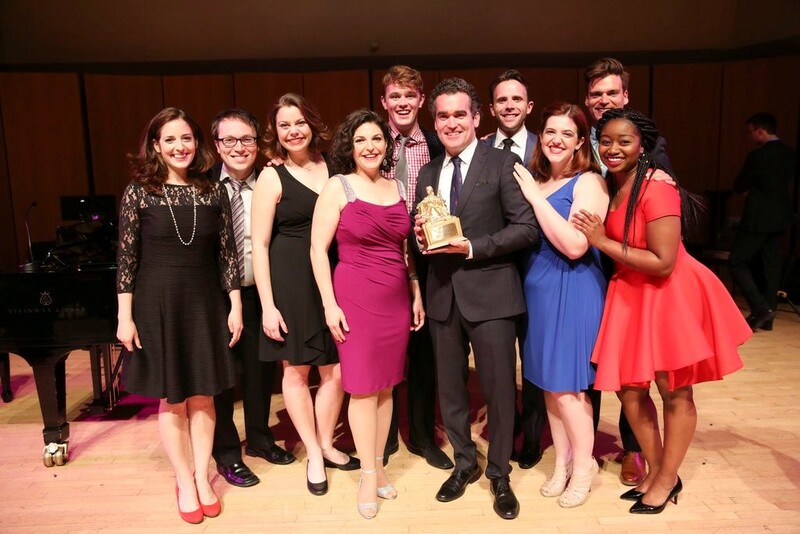 One last instance occurred when Brian d’Arcy James came to campus. As a performer, Brian is one of my idols. He’s worked in every type of role you can imagine and he graduated from the same school as me?! I can only hope my career looks like his in some way. Since we all knew of his work, we were so excited for him to sit in on our musical theatre techniques classes. It was so cool to get to talk to him. He watched people perform with such patience and spoke about his time here at Northwestern. This was not the first time he came back to campus, though. In my time here, he’s thrown tons of support for the school. When I worked on the Dolphin Show my freshman year, Shrek, which was a role he originated, he even came out and saw it! I can’t say enough how cool it is to see someone so successful and have this type of connection their alma mater. The bottom line is that here at Northwestern, you find so many resources in your professors, advisors, peers, etc. But once you leave hallowed halls and the Lake Michigan shore, it’s really great to have the Purple Mafia to turn to for help in trying to navigate this world.